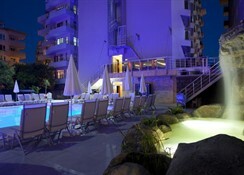 Refurbished in 2011 this modernly styled hotel consists of 3 blocks with a total of 181 rooms. 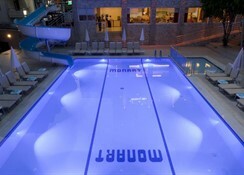 Guests are offered a 24-hour reception, a currency exchange desk and 4 lifts. 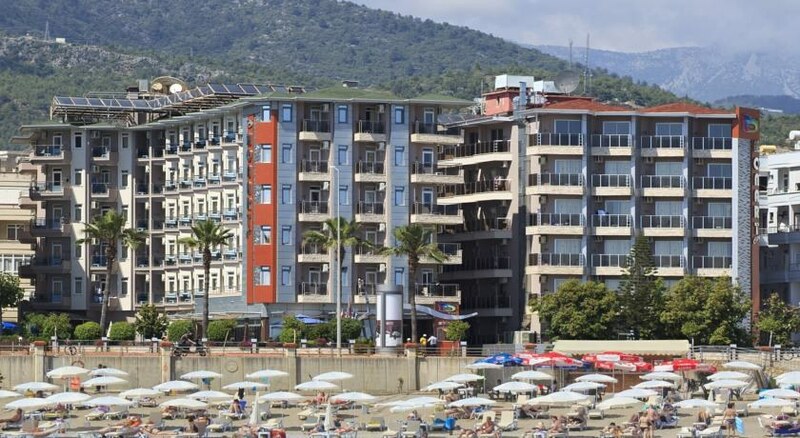 Located on the main seafront road, 1.5km from the centre of Alanya, local amenities can be found in close proximity to the hotel while the beach is 50m away. Guests can benefit from the hotel's cafÃ© patisserie between meals and free facilities are provided on a private section of the beach. A light animation programme is provided as well as occasional evening entertainment. 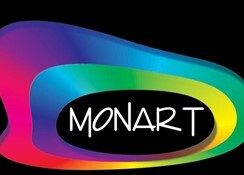 Sitting on the fringes of Alanya City, the Monart City Hotel offers a modern and stylish environment for its guests. Found just steps away from the beautiful sands of the coast, it enjoys its very own private beach, so itâ€™s ideal for a beach break in the sun. 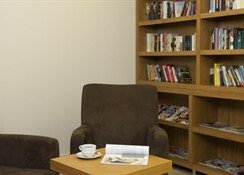 Families, small groups and couples are ideally suited to the hotel, as it benefits from a quiet and peaceful location, with easy access to the lively city centre. 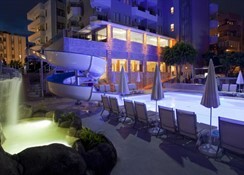 There is a lovely outdoor swimming pool and a separate swimming pool for kids. Each room comes with a private balcony, air conditioning, satellite TV, a minibar, phone, safe and hair dryer, as well as en suite bathrooms. Certain amenities may be payable locally. There is a restaurant, a snack bar, two poolside bars, a beach bar, a patisserie and a cafÃ©. ** ALL INCLUSIVE **Operates 24 hours a day. 19.00 / 22.00 – A’la Carte Service . At least 4 night accommodation, 1 time during the holidays, can benefit from a menu composed of dishes of International Cuisines elite. 10.00 / 18.00 – On The Beach, Sunbed, parasol(for 2 person one parasol) ,beach towel are free of charged , and all local alcoholic or non-alcoholic drinks are free of charged at the beach bar . and hot drinks are free of charged. *** At Snack Bar , In 22:00-02:00 hours,all local alcoholic or non-alcoholic drinks and and hot drinks are free of charged. *** *** Minibars ( Water- mineral water ). *** Meals time can be changed by the hotel management during the season. *** Free Wireless Internet service is given in all rooms and general area at the Hotel.